As Japan's second largest city with a population of 3.7 million, Yokohama offers shopping for everyone, from major shopping centers to Japanese department stores, discount shops and 100 yen stores. The Yokohama Station area has department stores, discount shops and major electronics retailers, making it the perfect stop for Japanese souvenirs and brand name products. The Minato Mirai area features the latest fashion brands from Japan and around the world, while the Motomachi area offers unique local fashion brands and boutiques. The Kanazawa area is home to a Mitsui Outlet Park. Yokohama Station is the city's largest railway terminal offering access to four JR lines, four private railway lines, and one subway line. 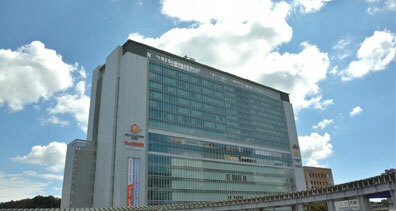 It stands at the heart of downtown Yokohama with a number of commercial facilities nearby. 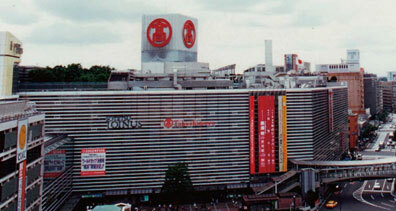 In addition to famous Japanese department stores like Yokohama Takashimaya and Sogo Yokohama, the area is also dotted with discount shops and major electronics retailers, providing ample opportunities to look for souvenirs and Japanese brand products, such as kimono, Japanese accessories, sweets, cosmetics, and electronics. 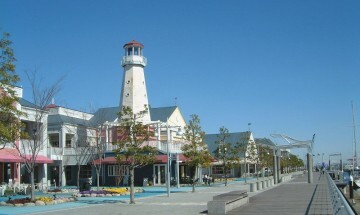 There are also shopping malls in the area connected to tourist spots by the Sea Bass, such as Bay Quarter Yokohama. The bay area is filled with tourism spots symbolic of Yokohama, from the 296-meter tall Yokohama Landmark Tower to the giant Ferris wheel Cosmo Clock 21 and the Yokohama Red Brick Warehouse. 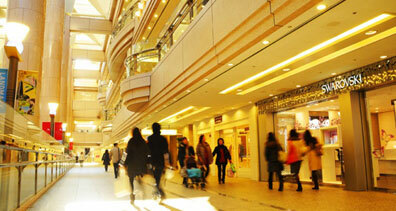 It is also home to leading fashion brands both from Japan and around the world. There are a number of major shopping malls within a 10-minute walk with more than 200 stores each, including Yokohama Landmark Plaza, Queen's Square Yokohama and MARK IS minatomirai. Enjoy shopping to your heart's content even on rainy days as all the malls are connected by underground or covered passageways. 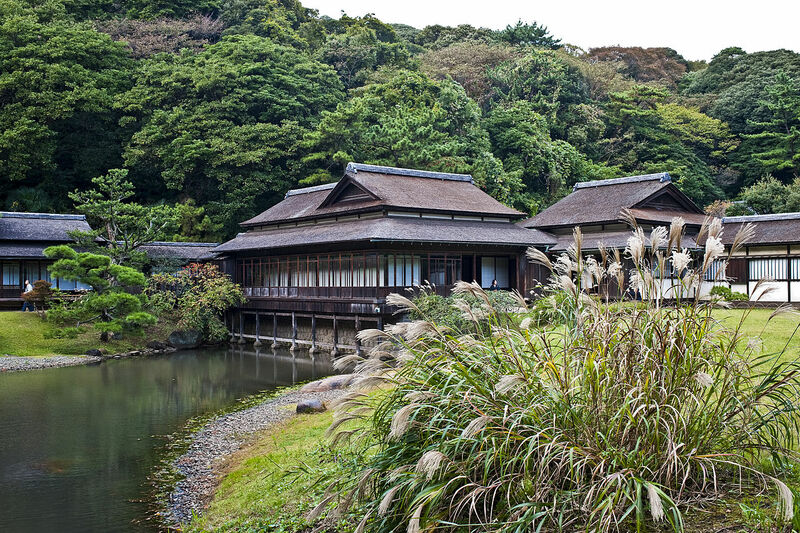 The Yamate area offers an exotic atmosphere capped off by its Western style architecture and the Foreign General Cemetery. At the bottom of the hill you will find boutiques that are the birthplace of Yokohama fashion. After the start of the Meiji period, a large number of foreigners lived in the Yamate area, which led to the creation of an exotic townscape filled with flower shops, Western apparel shops, women's clothing outlets, Western furniture stores, bakeries and cafes geared toward the local foreign population. Yokohama's fashion style, called hama tora, is a traditional style born from a magazine campaign of the late 1970s, which is mainly popular among female university students and other young women around their age. Yokohama's unique local fashion brands comprise of Kitamura handbags, Mihama shoes, Chikazawa lace, Star Jewelry accessories, and more. The Kanazawa area is in Southern Yokohama close to Kamakura. 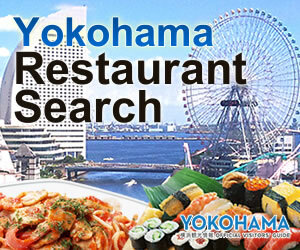 It features a number of spots for the whole family, such as Yokohama Hakkeijima Sea Paradise and Kanazawa Zoo. There is even a large outlet mall near the Yokohama Bay Side Marina called Mitsui Outlet Park Yokohama Bay Side that carries a number of famous brands. Here, you will find a number of high quality products from specialty stores as well as brand stores and famous manufacturers from Japan and around the world, all at outlet prices. 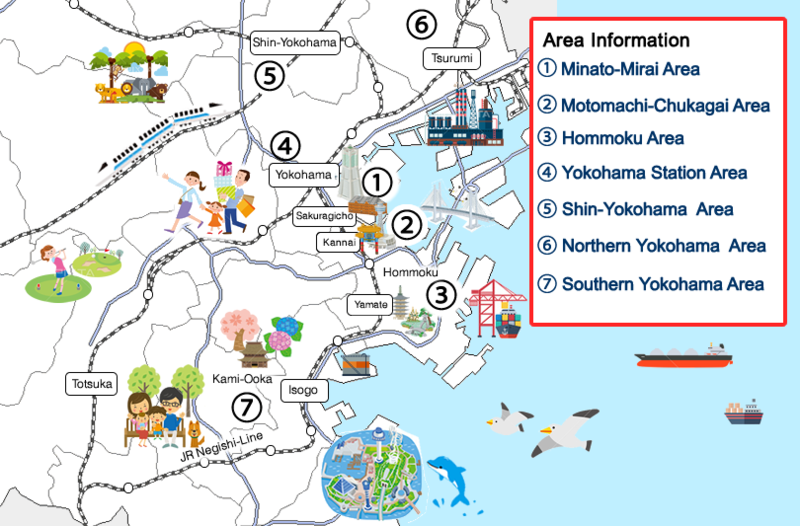 With a stop on the Tokaido Shinkansen, the Shin-Yokohama area is the gateway to inland parts of the city. Here you will find Shin-Yokohama Prince PePe, which carries souvenirs from Yokohama, not to mention Cubic Plaza Shin-Yokohama and Bic Camera both connected to the station. 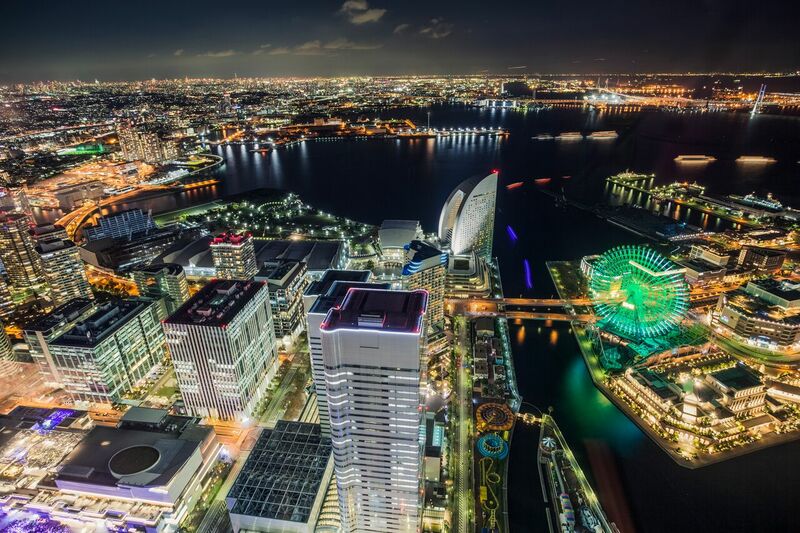 The area also features Nissan Stadium and Yokohama Arena for concerts or professional sports, the Shin-Yokohama Ramen Museum within walking distance, and Shin-Yokohama L'entracte where you will find an Ayurveda spa and jazz bars. 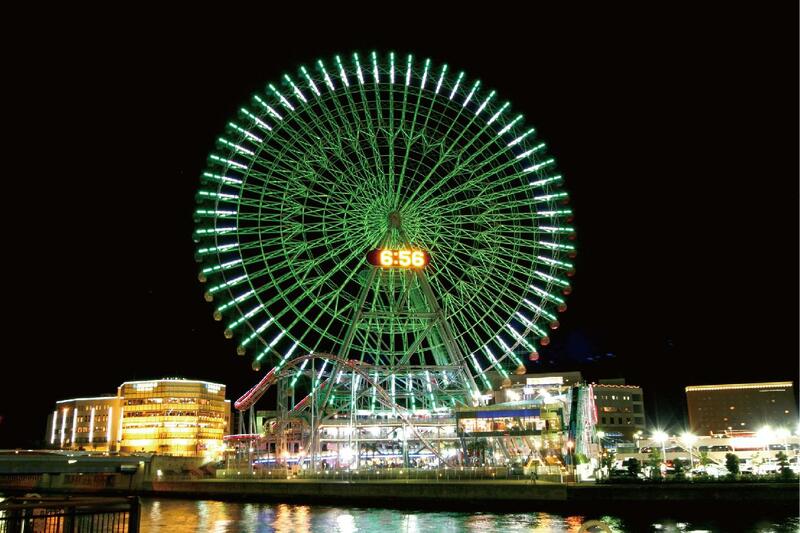 Shin-Yokohama offers everything from events and dining to shopping. Learn more about tax free shopping and list of shops.